Soils can be eroded by flowing water. Erosion can occur underground if there are cavities, cracks in rock, or other openings large enough so that soil particles can be washed into them and transported away by seeping water. Then this type of underground erosion progresses and creates an open path for flow, it is called “piping.” Preventing piping is a prime consideration in the design of safe dams. There appear to be a few cracks in the dam. At least three Republican lawmakers are calling for Gov. 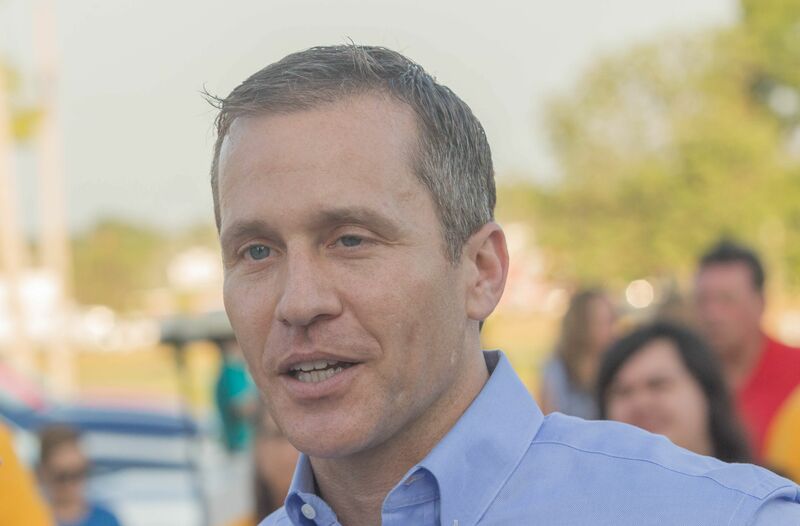 Eric Greitens to resign after allegations that he blackmailed a woman in an effort to keep her quiet about an extramarital affair…. Should have paid more attention to that infrastructure, eh? A few minutes after posting this – there appears to be a fourth GOP member of the General Assembly saying the same thing.